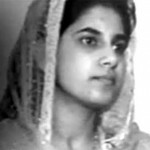 Surjit Kaur Athwal sought to end an unhappy marriage by divorce. 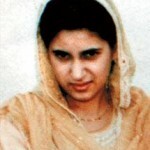 In 1998 her mother-in-law and husband took her to India under false pretences where she was killed. She had two children. 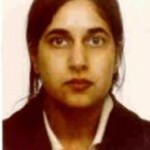 Her husband and mother in law have been convicted of her murder. 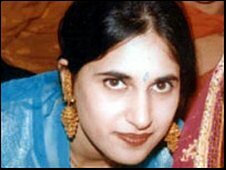 Surjit’s 70 year old mother-in-law Bachan Kaur Athwal was given a minimum of 20 years in prison, while her 43-year-old son and Surjit’s husband Sukhdave Athwal will not be eligible for parole for 27 years. 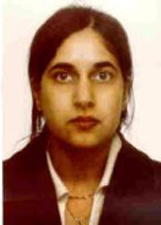 This landmark trial and sentencing was the result of more than eight years of constant, tireless campaigning by Surjit’s brother Jagdeesh Singh along with the excellent work of DCI Clive Driscoll and DC Palbinder Singh of Metropolitan Police, who led Surjit’s investigation and brought it to a successful criminal prosecution. For those who stood by your innocence. Honor is for those who stand unbroken in the name of justice. It is for them , as for you…the earth rejoices. Priyanka belonged to a Rajput community in Tripali Badi village of Churu district. Her parents arranged a marriage with an Ahmedabad-based man, but Priyanka refused the proposal because she was already in love with Suraj Kumar of Jhunjhunu district, a Jat community. 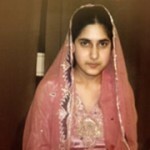 Against her parents’ wishes, Priyanka ran away with Suraj. The young lovers eloped, they were married in Arya Samaj temple in June 2010 against their families wishes and moved to Jaipur to start a life together. Priyanka was taken from her new home in Jaipur. “On Sep 24th, parents of Priyanka came here at my residence when I was not in my house and forcibly took my wife to their village.,” Suraj explained. While being detained by her mother and father, Priyanka had a heated argument with her parents. Angry by the refused marriage proposal and dishonored by what they called the “love affair”, Priyanka’s mother, Santosh Kanwar, father, Bhawani Singh Rathore, and uncle, Prithvi Singh, strangled the her and hurriedly cremated her body on the 10th of October 2010. “We suspect that the father and mother of Priyanka Rajput killed her due to a love affair with a boy of a different community. It seems to be a case of honour killing,” said a police official. 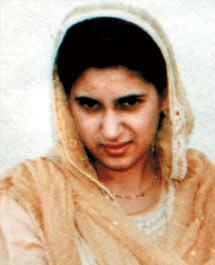 Santosh Kanwar, Bhawani Singh Rathore, and Prithvi Singh were arrested soon after the honour killing. when all arrows point to doubt. In this brief life that you lived, you won. Because you fought for the only thing worth fighting for.